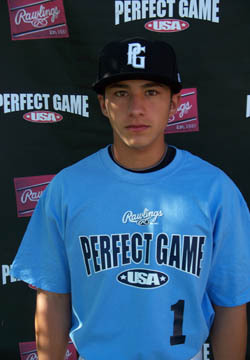 Jordan Aboites is a 2012 SS/RHP with a 5-7 145 lb. frame from Long Beach, CA who attends Mayfair HS. Small build, very young look, has deceiving strength. Flashy defensive player, very quick and soft hands, charges the ball very hard, polished footwork, anticipates, playable arm strength from shortstop. Right handed hitter, leg raise trigger, short fundamentally sound swing, squares it up to all fields, line drive contact, good balance, hits within himself, 7.06 runner. Also pitched, steady mid 80's fastball, quick compact arm, well paced delivery, short snappy curveball at 73 mph, tends to cast it softly at 68 mph as well, good feel for sinking change. Easy to overlook due to size but has tools to go with skills. 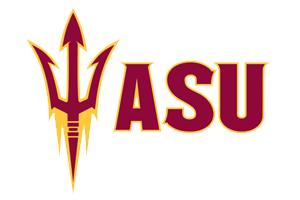 Good student, verbal commitment to Arizona State.